Before a request is sent to the server, as a pre-request script under the Pre-request Script tab. After a response is received, as a test script under the Tests tab. Users can add pre-request and test scripts to a collection, a folder, a request within a collection, or a request not saved to a collection. A pre-request script associated with a collection will run prior to every request in the collection. A pre-request script associated with a folder will run prior to every request in the folder. A test script associated with a collection will run after every request in the collection. A test script associated with a folder will run after after request in the folder. For every request in a collection, the scripts will always run according to the following hierarchy: collection-level script (if any), folder-level script (if any), request-level script (if any). Note that this order of execution applies to both pre-request and test scripts. For example, imagine you had the following collection structured with a single folder and 2 requests within the folder. 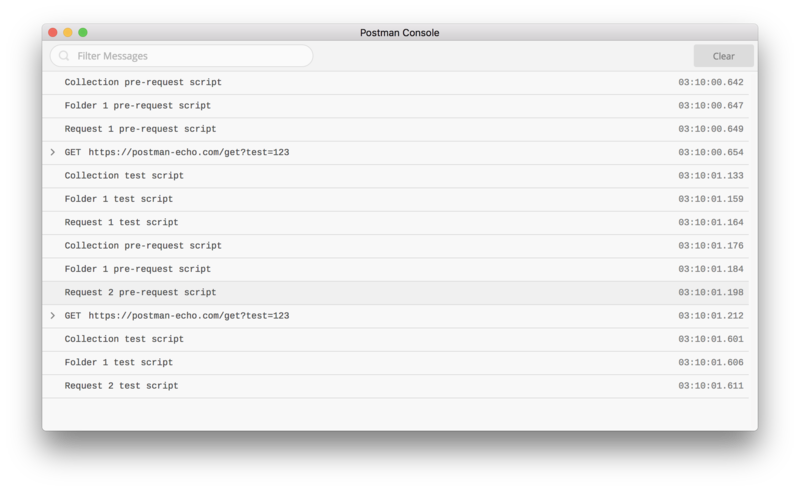 If you created log statements in the pre-request and test script sections for the collection, folder, and requests, you would clearly see the execution order in the Postman console. 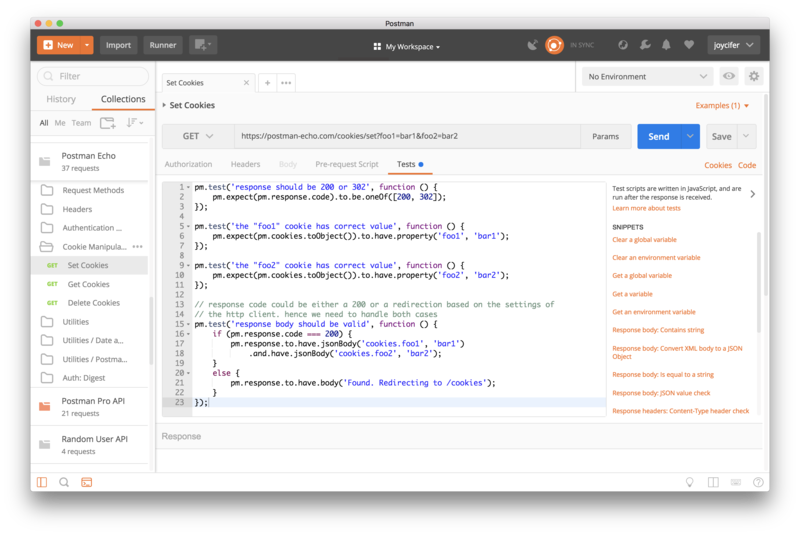 Debugging scripts can be written under either the Pre-request Script tab or the Tests tab, with helpful messages logged in the Postman Console.